Car rentals must be booked in conjunction with a Suite Paradise accommodation and are available on all Hawaiian Islands. Suite Paradise will charge the guest for the car rental daily rate plus 4.712% Hawaii sales tax. All other taxes, fees and extra options are not included in rates shown and are collected directly from the guest by AVIS. Suite Paradise is authorized to name only one primary driver. If you would like to request any additional drivers you must add them at the AVIS counter for a fee. Drivers must be age 25 or older. All car rental modifications or cancellations must be made directly through our Suite Paradise office. PLEASE NOTE: If you would like to upgrade your car class, please contact Suite Paradise. 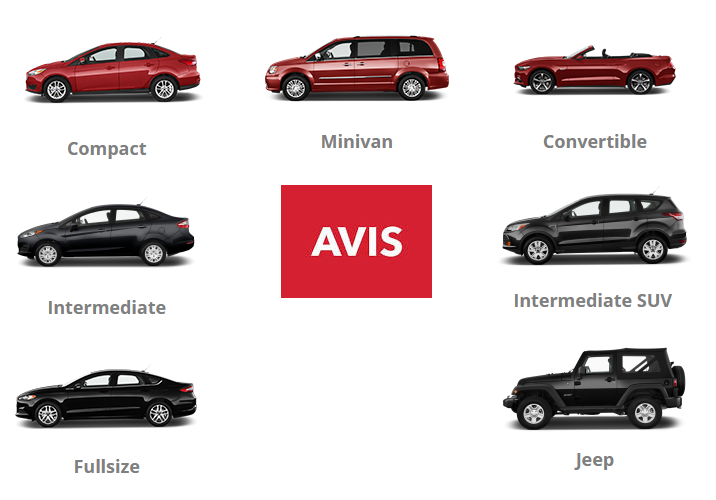 If you choose to upgrade directly with AVIS , these rates will NOT apply. Upgrade rates through AVIS vary and any difference in charges above and beyond what was originally reserved, are the sole responsibility of the renter. Suite Paradise will not voucher any upgrades made directly with AVIS.